The InnBox is a weekly newsletter featuring unique, affordable places and spaces for busy folks who need a break. Hội An is a charming little seaside town and preserved historic district located about an hour south of the port city of Da Nang. Its streets are lined with bright orange buildings and traffic flows across green colored canals that divide up the town. It's a popular destination for couples due to its relaxed and romantic atmosphere but it's also a great option for families with kid-friendly activities like cooking classes and sunny beaches. It's a foodie heaven thanks to daily night markets and regional twists on popular Vietnamese dishes. Hội An is the perfect place to pause for a few days and watch the world go by. Rates are based on a one-night search for May 2018. The InnBox may collect a share of sales from booking links on this page. 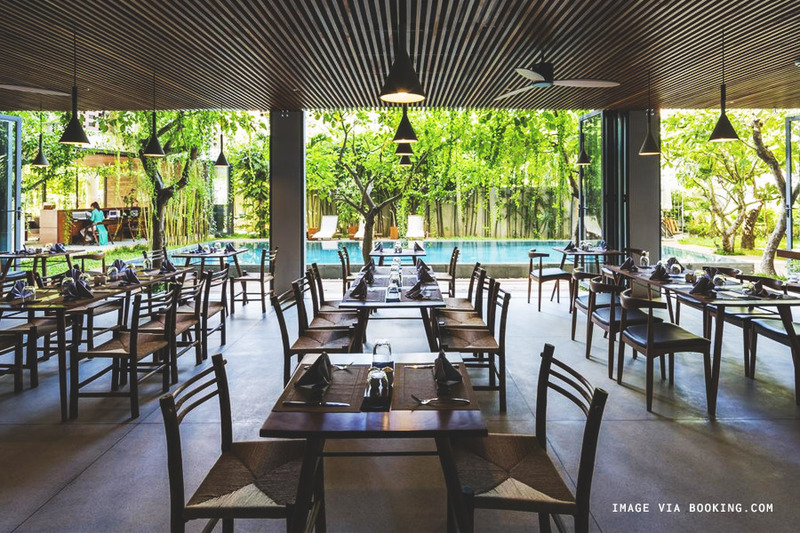 Nhi Nhi hotel is proof that more traditional aesthetics can still be a breath of fresh air. 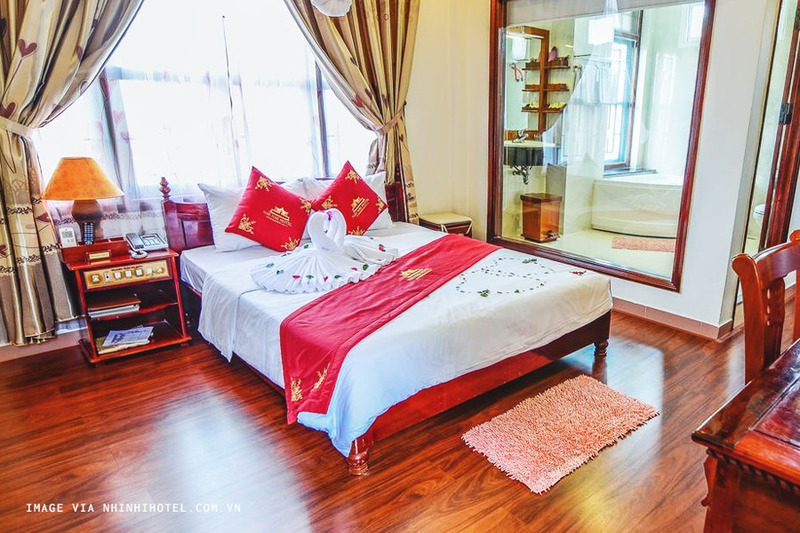 It's a counterpoint to the many sparsely decorated hotel rooms Hội An. The Nhi Nhi's gorgeous sun-lit interior courtyard will transport you back in time— and don't many of us travel to be transported? 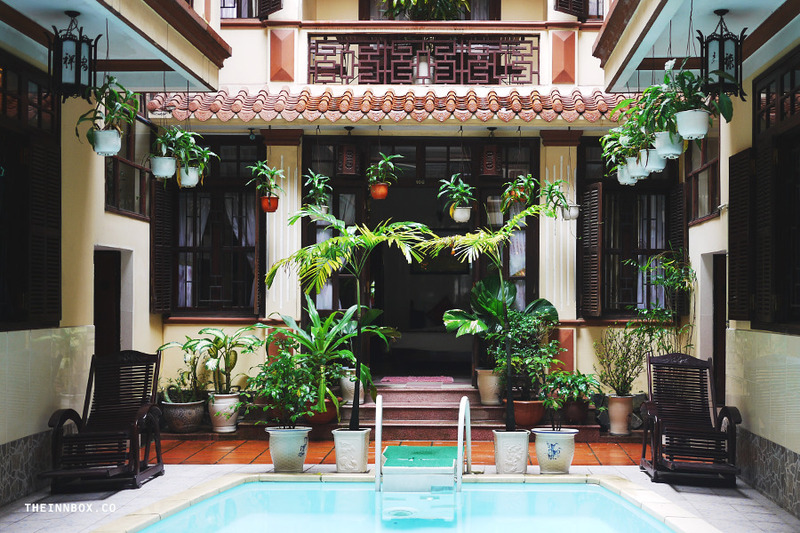 All the little details in the rooms, from the pattern of the bathroom tile to the wood-carved furniture, may fill you with a wistful sense of nostalgia, if you're of East or Southeast Asian descent like me. 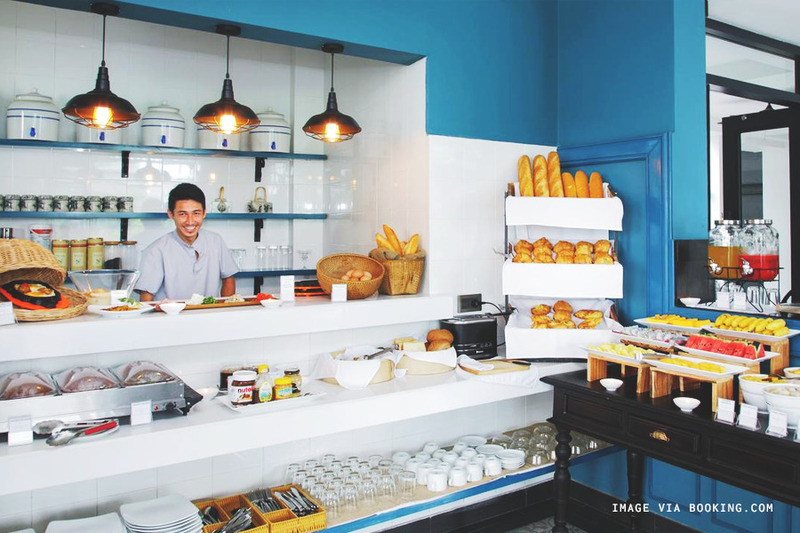 The staff was exceptionally friendly and kind, and their breakfast buffet was one of the best we had in Hội An. 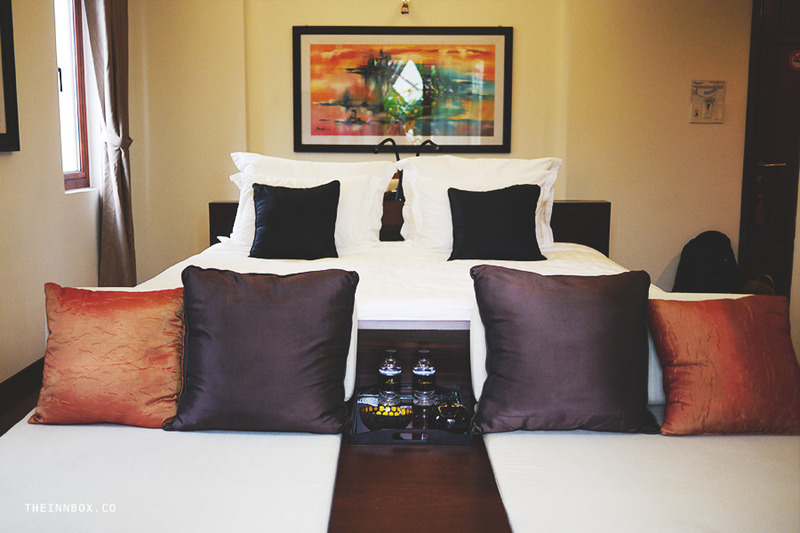 The hotel is located on the west side of town, in a quiet area but about a five minute walk away from Old Town. 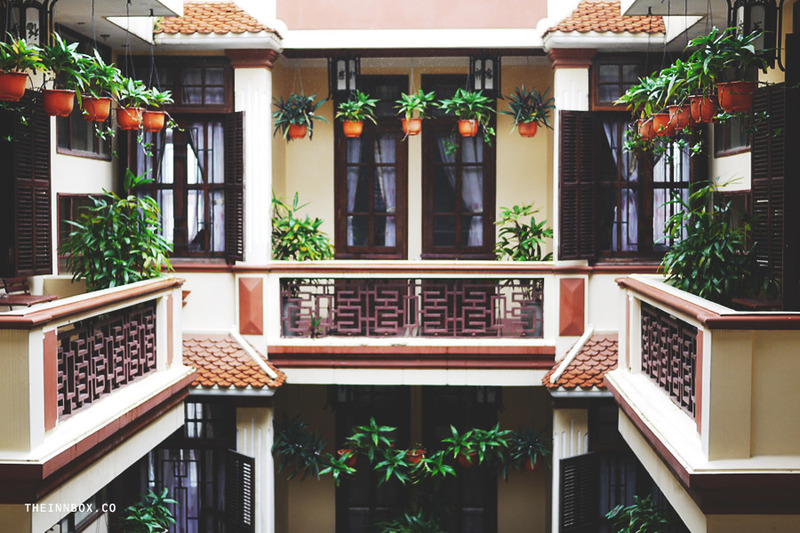 Nhi Nhi is a little more affordable than most hotels in Hội An, and perfect for anyone trying to balance a budget— but I do think it's worth it to splurge a little to make sure your room has an interior facing balcony! 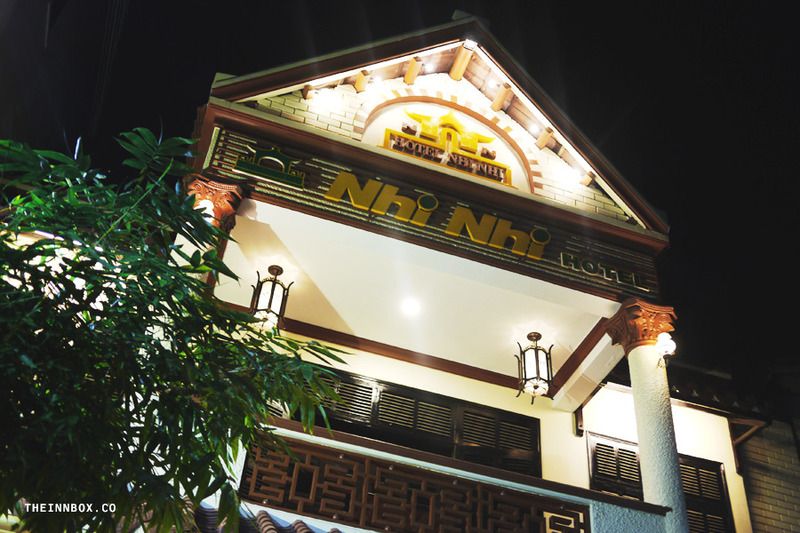 The Nhi Nhi hotel has ground floor rooms available with accessible bathrooms. 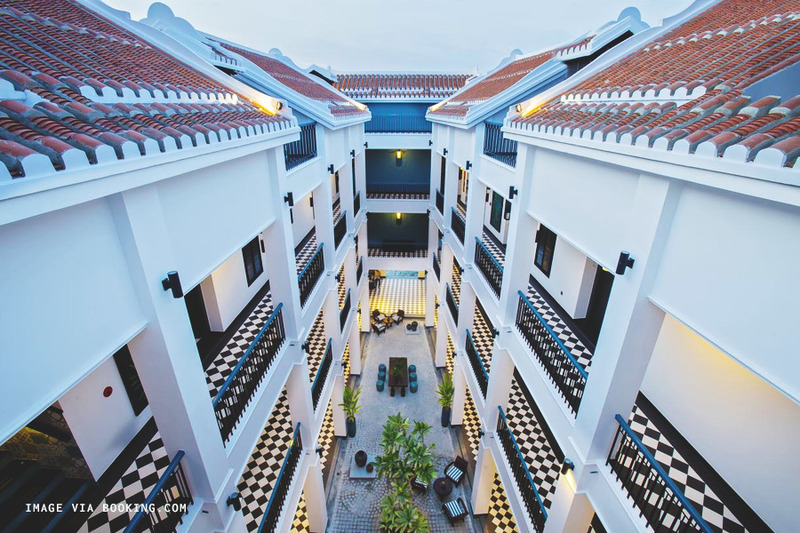 Atlas is a 48-room hotel most known for its stunning exteriors which utilize over 100 cantilevered concrete planters to give the illusion of being surrounded by a lush jungle, whether you're inside your room or chilling in one of the hotel's many courtyards. 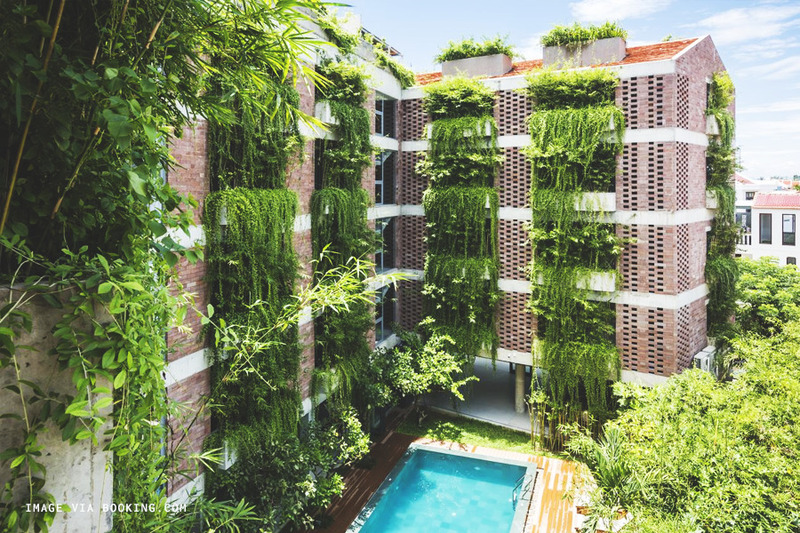 The hotel was actually shortlisted for the World Architecture Festival awards in 2017 and was designed by the Vietnamese architect Vo Trong Nghia and his firm, who are known for their deft use of greenery in urban spaces (see the stunning Binh House in Saigon). The hotel is also just a few blocks away from the famous Japanese Bridge that marks the entrance into Old Town. 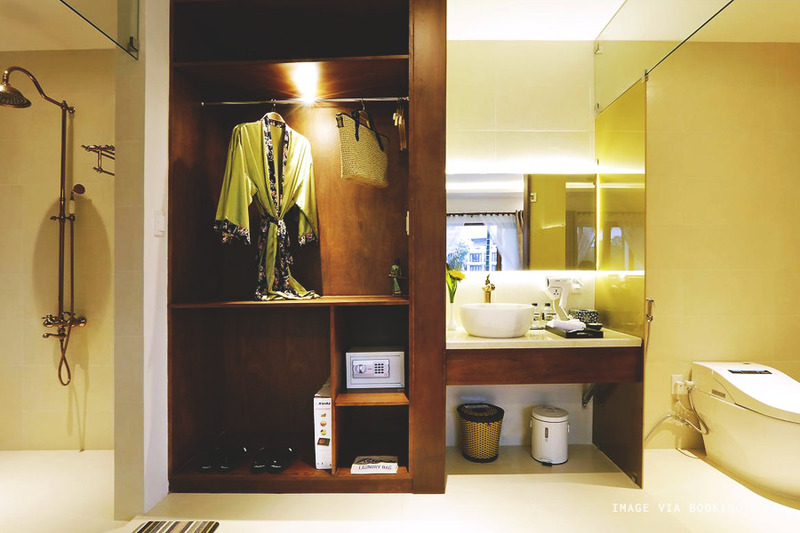 Atlas Hội An has an elevator for accessing upper floors and allergy-free rooms available. 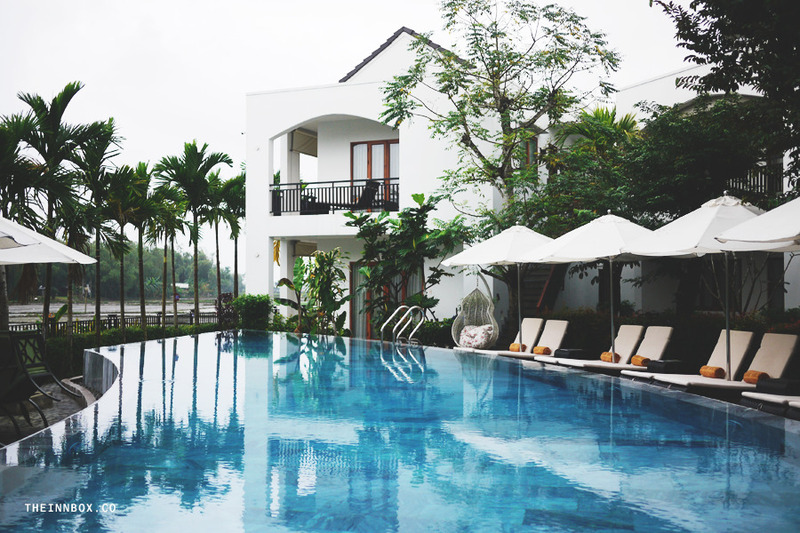 The Azumi is a minimalist, 14 room boutique hotel on the eastern side of Hội An. Their furnishings are higher quality than many similarly priced hotels in the area, and I can say as a soft-bed lover that their bed was the most comfortable hotel bed I've slept in during the past year— I melted right in. Their beds are also curiously positioned in the center of the room, surrounded by lounging chairs in the front and a desk in the back. 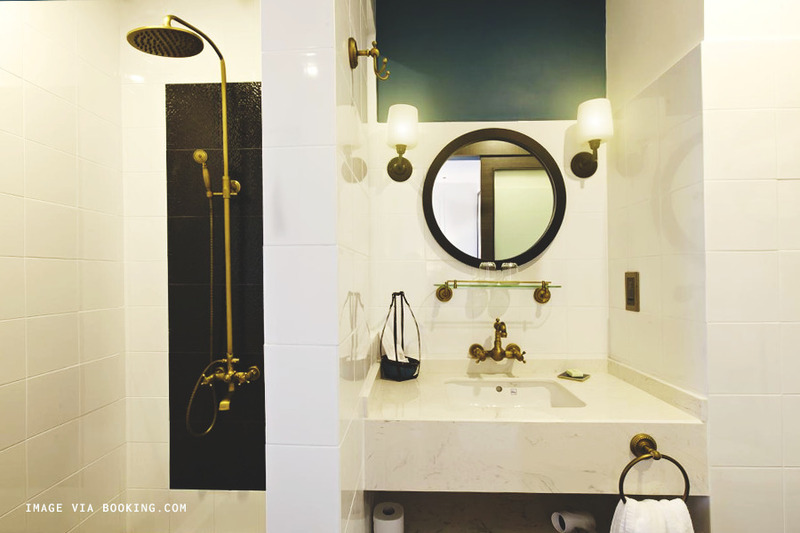 Their bathrooms also feature steam room showers (your girl's fave). Azumi is located about a ten minute's walk away from all the action in Old Town, which is ideal for guests who prefer a quieter atmosphere. If you're worried about the distance though, Azumi has some cute bikes that are free for guest use and will get you to Old Town in a snap. Upper floors are accessible by stairs only, however Azumi has ground floor villas in which the entire unit is wheelchair accessible. 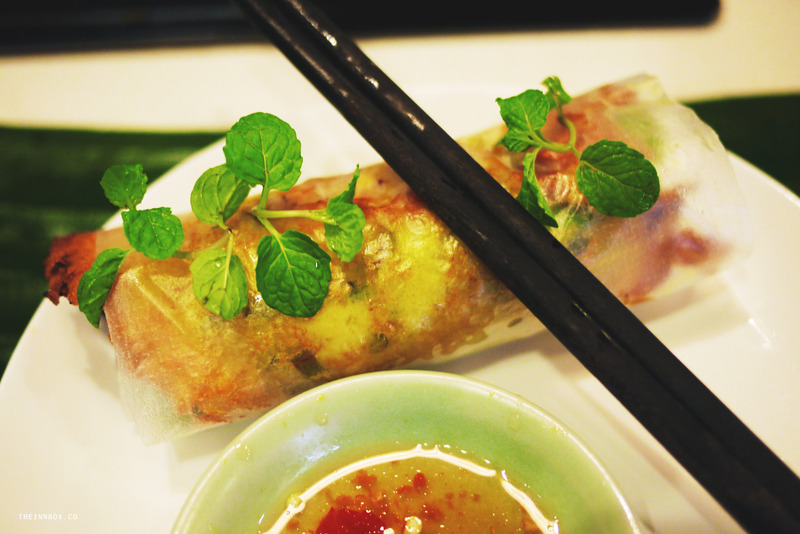 The eponymous Trinh Diem Vy is a culinary institution in Hội An. 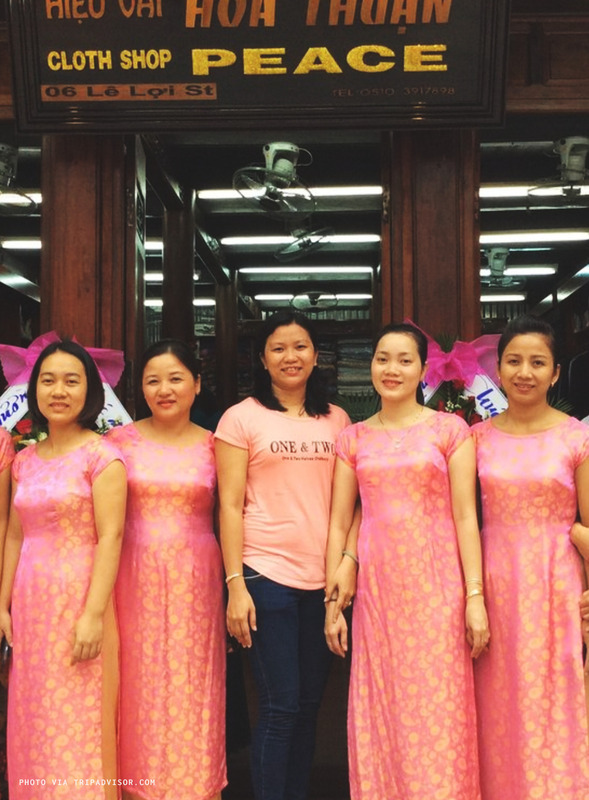 She's an accomplished cookbook author and the proprietor of several of Hội An's most famous restaurants: Morning Glory, Mermaid, Vy's Market Restaurant, and Vy's Kitchen & Deli. 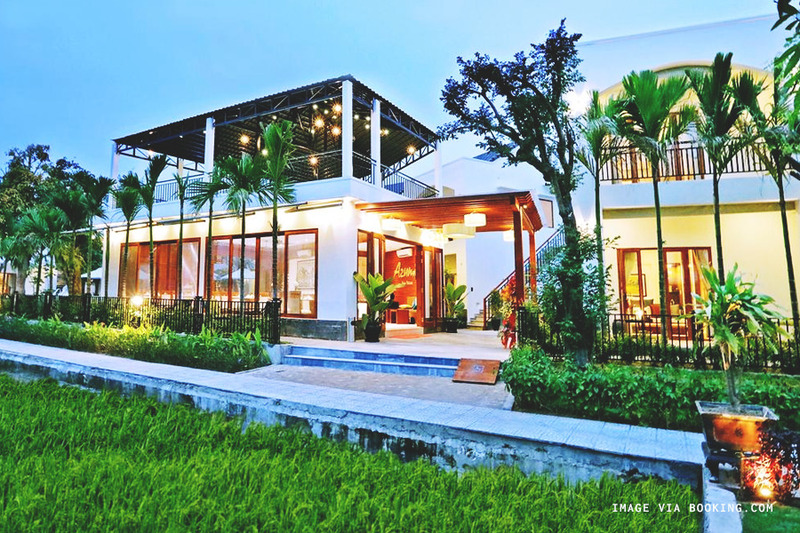 Maison Vy marks her first foray as a hotelier. 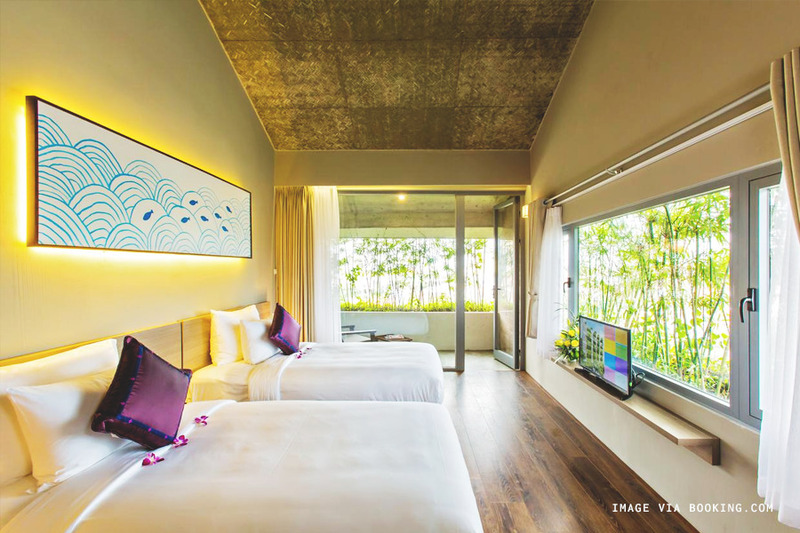 The hotel is tastefully decorated in a swath of off-white and turquoise and floor-to-ceiling windows. 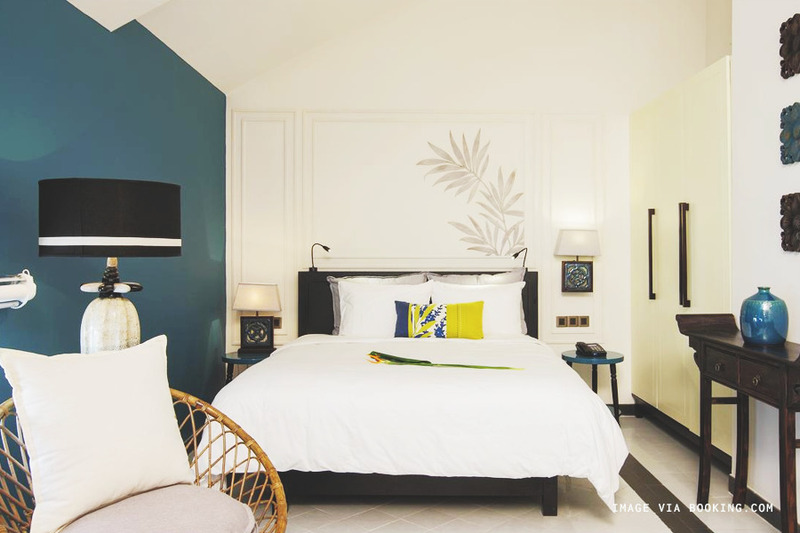 It's located a little farther out from Hội An's old town (about a ten minute walk, similar to Azumi) so again a great choice for any light sleepers. Breakfast is included with most rates, and given her extensive culinary success, you know it's going to be amazing. 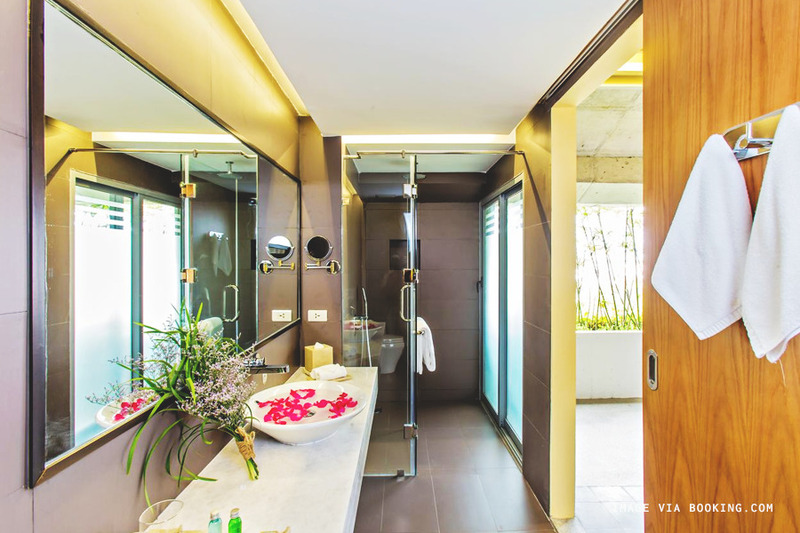 Upper floors are accessible by stairs only, however Maison Vy does have ground floor facilities for disabled guests. Hội An Old Town is a UNESCO World Heritage Site and the main attraction which draws visitors to the sleepy seaside town. Within it's streets you'll find signature yellow buildings and clay roof titles under which lie hidden coffeeshops, clothing stores, and restaurants. There are a few historic sites and temples in Old Town that you'll need to buy tickets to see up close, although we ended up just walking around and instead visiting some of the temples located just outside of Old Town for free. 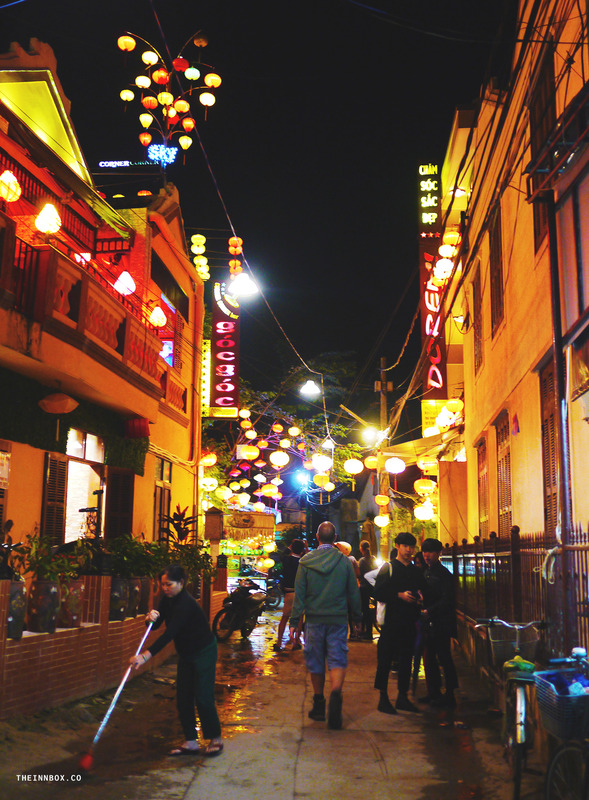 The best time to visit Old Town is at night when all of the lanterns are lit up (although black outs do happen occasionally). I highly recommend taking a boat ride down the canal at night for a little bit of romance— you'll be surrounded by paper lanterns and even get to deposit one of your own into the water. My favorite bánh mì I've had out of all my trips in Vietnam was at a little shop here called "Madam Knanh - The Bánh Mì Queen". 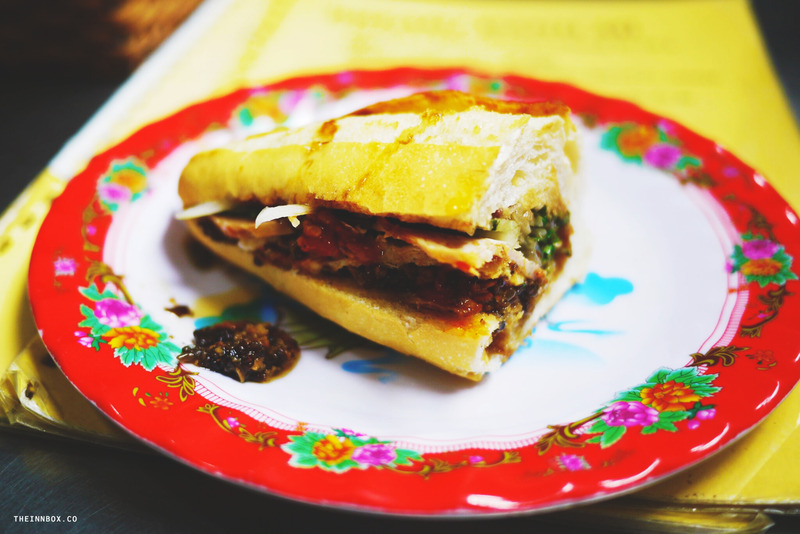 Some say it's the best banh mi in all of Vietnam— I don't think I'm enough of an expert to support or deny that claim but it sealed the deal for me. You can order from a very limited menu of bánh mì (always a good sign) and a much more vast menu of drinks. One bánh mì will set you back 20,000 dong which is less than $1. The eponymous Madam Knanh (which is technically not her real name, it's her husband's last name which she never formally took) didn't seem to be making sandwiches anymore, at least when I visited, but she was patrolling the restaurant with a huge wad of cash in her hands, monitoring her employee's performance and collecting them bills. 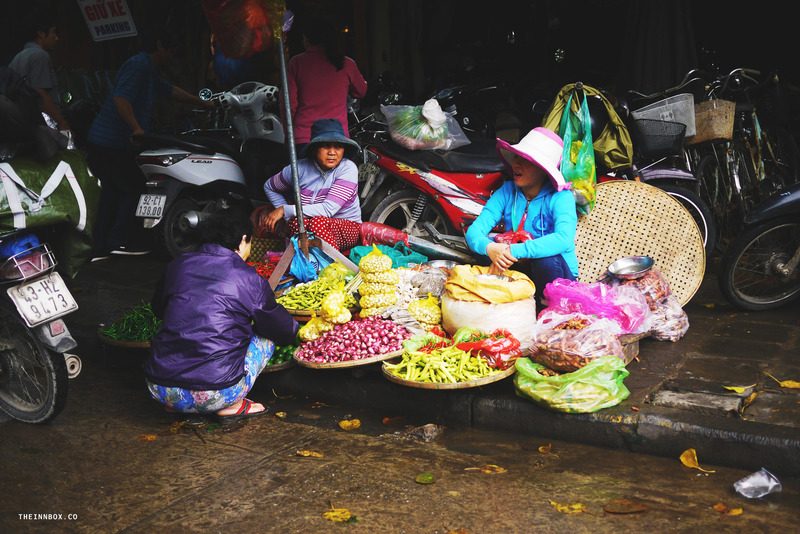 Mỹ Sơn is technically not in Hội An but rather about an hour's drive into the countryside. Still, it's one of the top things to do in the area and worth the day trip. 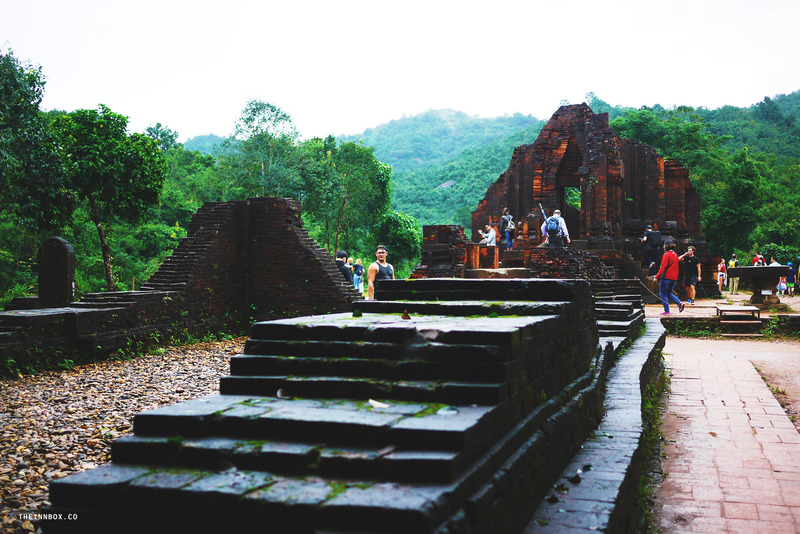 Mỹ Sơn is a holy site composed of the ruins of Hindu temples, with a storied history. It was only 'discovered' in our recent history by French colonialists in the 1800s, who then took parts of the ruins back with them to France, where they now sit in the Louvre, which refuses to return the artifacts to Vietnam. Then during the war in Vietnam, U.S. forces bombed the area, inadvertently destroying the majority of the temples. Visiting the site is not only a visual experience, but a contemplative one. 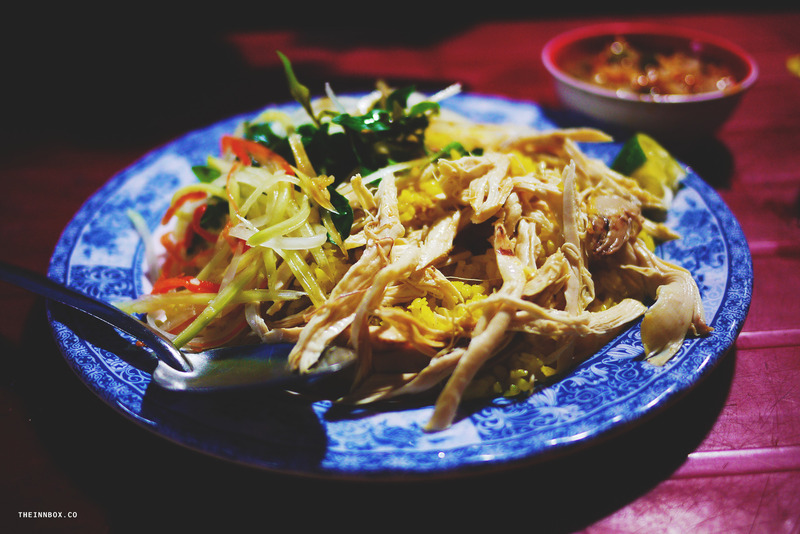 The entrance fee to Mỹ Sơn is roughly $6 per person. You'll see signs advertising cooking classes all over Hội An. We chose to do ours through Vy's Market Restaurant (the same Miss Vy of Maison Vy mentioned above). It was a little pricier due to Miss Vy's reputation but very informative. The class included a tour of the local market in Hội An, and a tasting of some examples of local street food, which included some delicacies I personally hadn't tried before, like duck egg embryo and silk worm salad (okay I chickened out of trying the latter). We signed up for the "Holiday Masterclass" which is the school's most popular option but in retrospect perhaps not challenging enough for a couple who cooks frequently at home. There were many young kids in our class which leads me to believe that the "Holiday Masterclass" is a great option for families. My favorite part of the class was learning how to make bánh xèo, a savory pancake made out of rice flour and turmeric. Hitting up the tailor shops is a *thing* in Hội An, where silk shops line the streets, and it's a great idea if you struggle to find clothes that fit you off the rack. 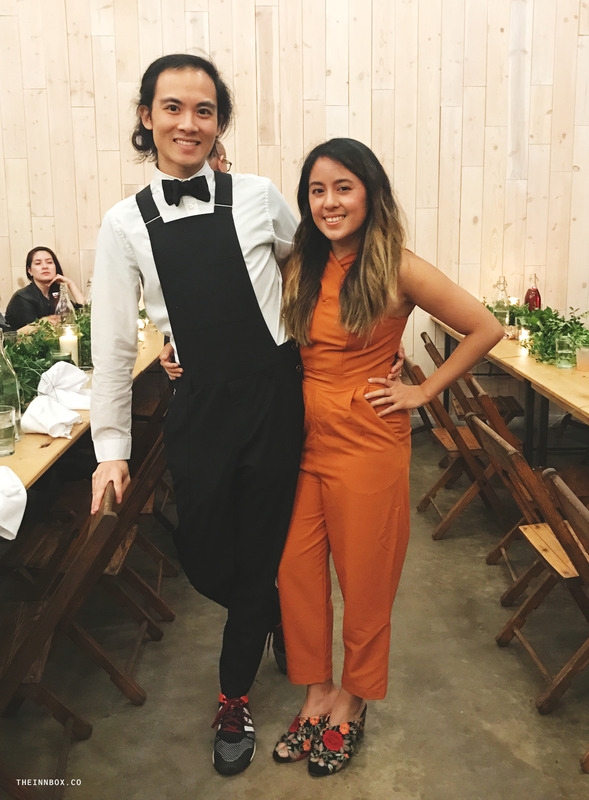 Being a petite lady it's pretty much impossible for me to find a jumpsuit that fits so I decided to try to get one made here. Many of the tailor shops are located within a few block's radius of one another and I started my inquiries at one of the highest rated shops in town, A Dong Silk. Their prices were steeper than I had expected at $120 (they did offer to discount if I ordered additional garments). I knew that the other popular shop in town, Kimmy Tailor, would be just as expensive so I skipped that one and wandered over to a Be Be shop (most of the brands have multiple locations within the same block) who was willing to price the jumpsuit at $90, but I wasn't able to find a fabric I liked there. My third time was a charm as I then went to the highly rated but less popular Peace Tailor who offered to do the jumpsuit for $50. Over the course of one and a half days I came in for two fittings as they altered the garment to my perfection. Looking back at the respective shop's TripAdvisor photos, it didn't surprise me that Peace Tailor has more photos of younger customers with progressive styles and pieces than Kimmy & A Dong. So if you're looking for something a little edgier I'd definitely trust them to do justice to your vision. 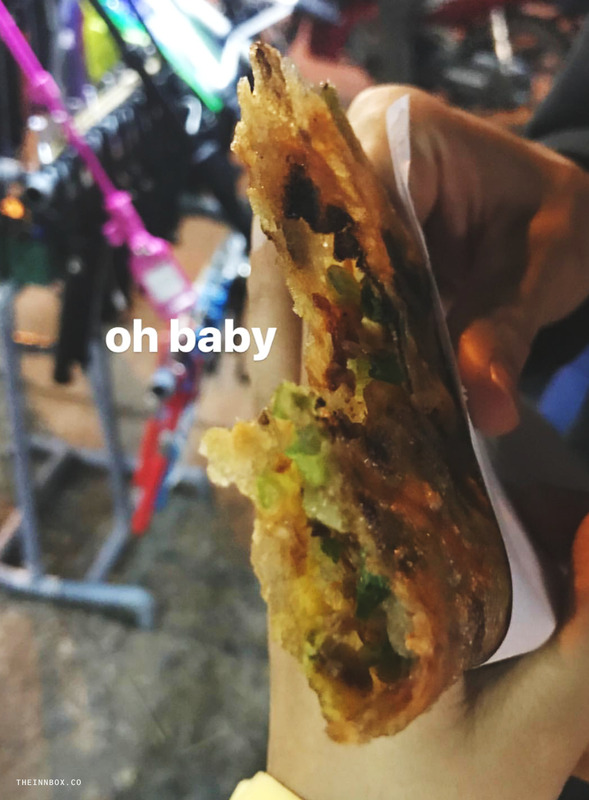 The night market in Hội An is open every night starting at 6pm and a great place to try the local street food. Our favorite was a Vietnamese-style crepe pizza that cost less than $1 (we'd order one and then find ourselves craving another not too long after). My other favorite snack we got was a coconut crepe/cake drizzled with chocolate. There were also sit down restaurants on the side of the street where we had other Hội An and Vietnamese staples like Cao Lầu and Com Ga. 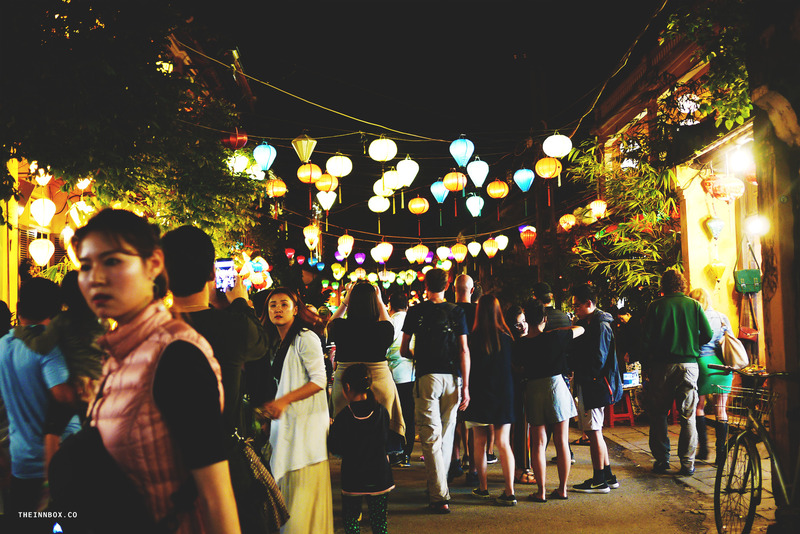 I didn't do too much actual shopping at the night market but wandering around at a night surrounded by all the colorful lanterns was magical. Okay so I didn't actually go to the beach during my time in Hội An but that's because we already had beach trips to the Philippines and southern Thailand planned. 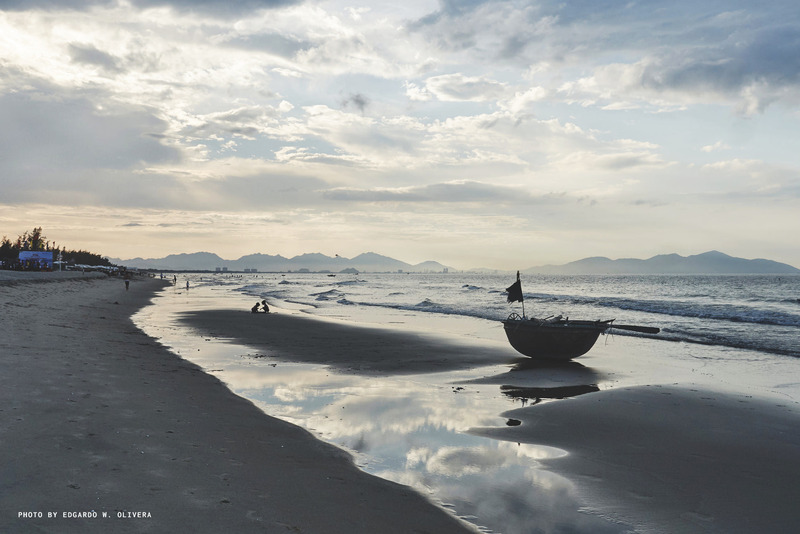 If you're not planning on going to a more well known beach destination, then definitely take advantage of being in Hội An and treat yourself to a beach day! If you're including Hội An in a larger trip with beach destinations than it may be worth putting the time there towards one of the other activities listed here or just having a chill day in Old Town or nearby Da Nang and Hue. An Bang is the most popular beach in Hội An— it used to be Cửa Đại but the latter was damaged by erosion (although parts of it have since recovered and are accessible to visitors). If you're feeling a little more adventurous hitch a couple of hours' boat ride to the nearby Cham Island for a more picturesque beach trip.